Megazord, a photo by Jodi K. on Flickr. I finally made it to the Rose Parade this year, but was not in a good spot to take photos. I had a blast anyway and got this snapshot of the Namco Bandai float promoting Saban's Power Rangers Samurai video game. 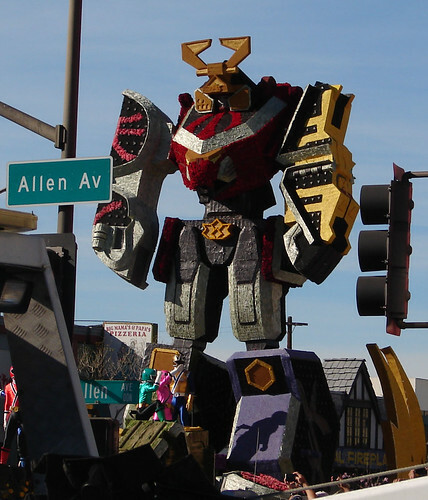 Megazord is 35 ft. tall, by the way. More info on the float here.